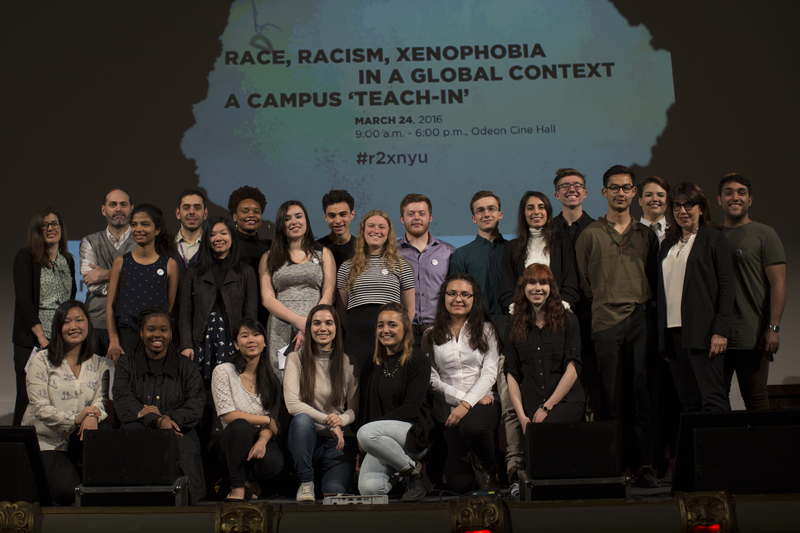 NYU Florence students and visiting artists, activists and scholars, discussed the above issues at NYU Florence´s first All Campus Teach-In on Race, Racism and Xenophobia in a Global Context on March 24, 2016. Student presenters and performers included: Aditi Ramesh, Alexis Williams, Amanda Gelbart, Ashleigh Taylor, Eilish Anderson, Felipe Gomes, Gavin Ward, Helen You, Hoiyan Leung, Iris Wang, Ismail Ibrahim, Melissa Carroll, Michelle Deme, Natalie Gomez, Nicole Johnson, Parker Hollingsworth, Sarah Singh, Sariah Bunker, Sidney Maynard, Siena Bjornerud, Stone MacBeth, Suleyman Azhari. NYU Florence students Elizabeth Grap and Sarah Singh designed the logo for the conference pin.